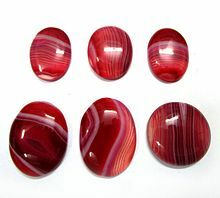 Onyx is a bandit variety o chalcedony. The colours o its bands range frae white tae almaist every colour (save some shades, sic as purpie or blue). 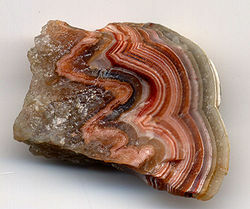 Commonly, specimens o onyx contain bands o black an/or white. This page wis last eeditit on 14 Februar 2018, at 07:38.